She studied at the Milan Conservatory and made her debut in 1883 at the Teatro San Carlo in Lisbon as Urbain in G. Meyerbeer’s ‘’Huguenots’’. The same year she made guest appearances in Italy, where first she sang in Treviso as Kaled in J. Massenet’s ‘’Le Roi de Lahore’’. Successful tours followed together with legendary Spanish tenor Julián Gayarre in Germany, Italy and South America. In 1889 she appeared opposite Mattia Battistini in Buenos Aires. In 1894 she sang as a partner of Francesco Tamagno in Moscow. In 1896 she performed at the Covent Garden in London as Brünnhilde in ‘’Walküre’’ (still in French) In the 1894-1900 seasons she was a member of the Metropolitan Opera in New York. Here she made her debut in 1894 as Amneris in ‘’Aida’’. Here her repertoire included Azucena in ‘’Trovatore’’, Emilia in ‘’Otello’’, Ortrud in ‘’Lohengrin’’, Maddalena in ‘’Rigoletto’’, Lola in ‘’Cavalleria Rusticana’’, Fides in ‘’Le prophète’’, Leonora in ‘’La Favorita’’, Nancy in ‘’Martha’’, the Queen in ‘’Hamlet’’, the Queen Guinevere in ‘’Elaine’’ of Herman Bemberg (première, 1894) and Dalila in ‘’Samson et Dalila’’. 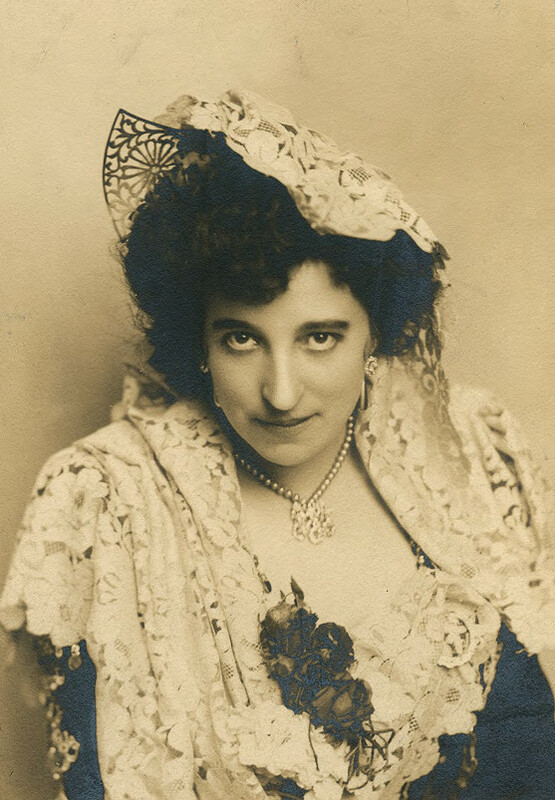 In 1902 she appeared at the Manhattan Opera House in New York in the title role in P. Mascagni’s ‘’Zanetto’’. In the 1902-1903 season she was engaged again by the Metropolitan Opera, in the 1903-1904 season she went on a tour in USA tour with her own opera troupe, in the 1904-1905 season she appeared in New York in operetta performances. Since 1905 she lived in Lisbon. she guested in 1908 at the Teatro Politeama in Genoa as Carmen. In 1910 she appeared on the stage for the last time in Lisbon. She made recordings for Bettini cylinders (1899) and then for USA Zonophone (1905-1907).